how have you been? 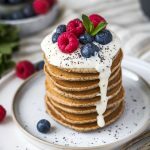 I am super busy writing my bachelor dissertation, which limits my time to create new pictures and recipes but I have promised to share this poppy seed pancake recipe on my Instagram so now it is finally online! I hope you will love it! They are so fluffy! 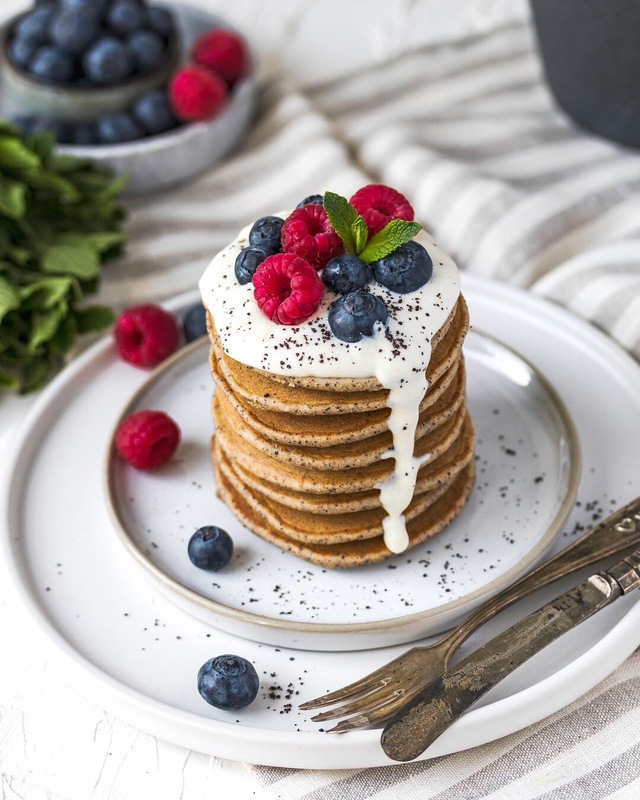 Have you tried out my other pancake recipes on my blog? 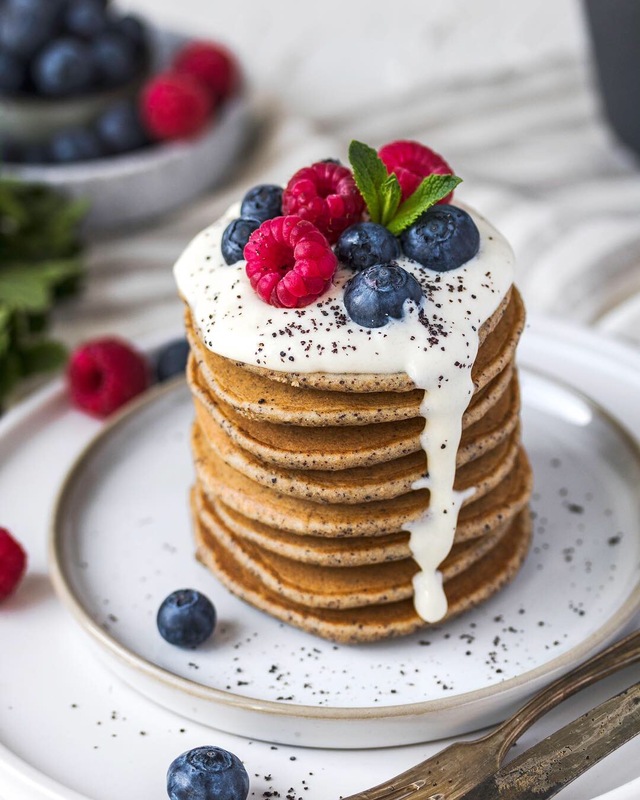 Do you prefer crêpes or American style pancakes? Do you ever use poppy seed in your recipes? Place your banana, water and milk in a blender and mix well. 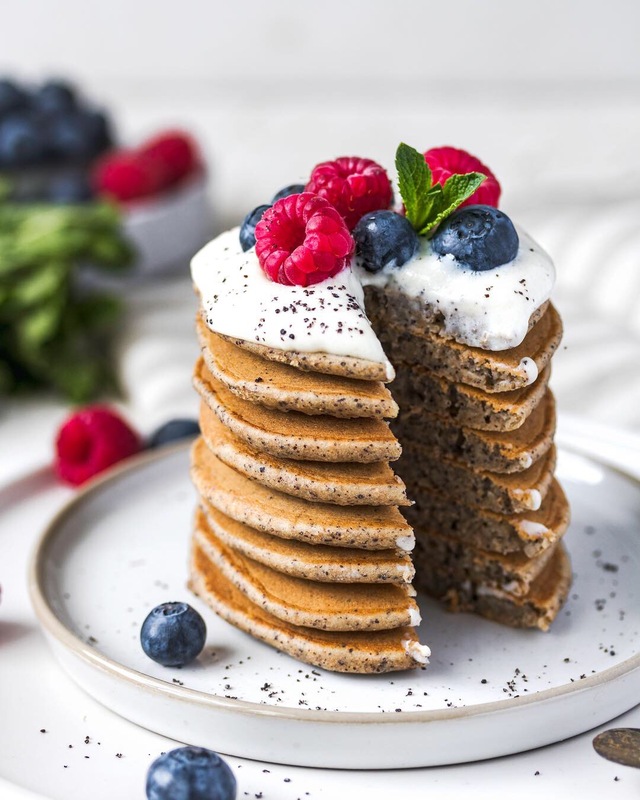 In a big bowl whisk your buckwheat flour, spelt flour, baking powder, ground poppy seed, soy yogurt, and “banana-milk shake”. You want a thick and creamy consistence. Heat a non-stick frying pan on low heat and add one spoonful of batter in the pan. Using your spoon even your pancakes a bit. I can fit up to 4 small pancakes in my pan. Cook until you can see some bubbles, then flip them over and cook until golden brown. Repeat with the rest of the batter. Serve with berries, soy yogurt or with anything else. I will promise that these will be a hit. Since moving to Germany (4,5 years ago), I haven’t been using poppy seed at all for baking. In Hungary, we even eat poppy seed with pasta! Haha. I really want to start using it more often and create some amazing recipes for you!